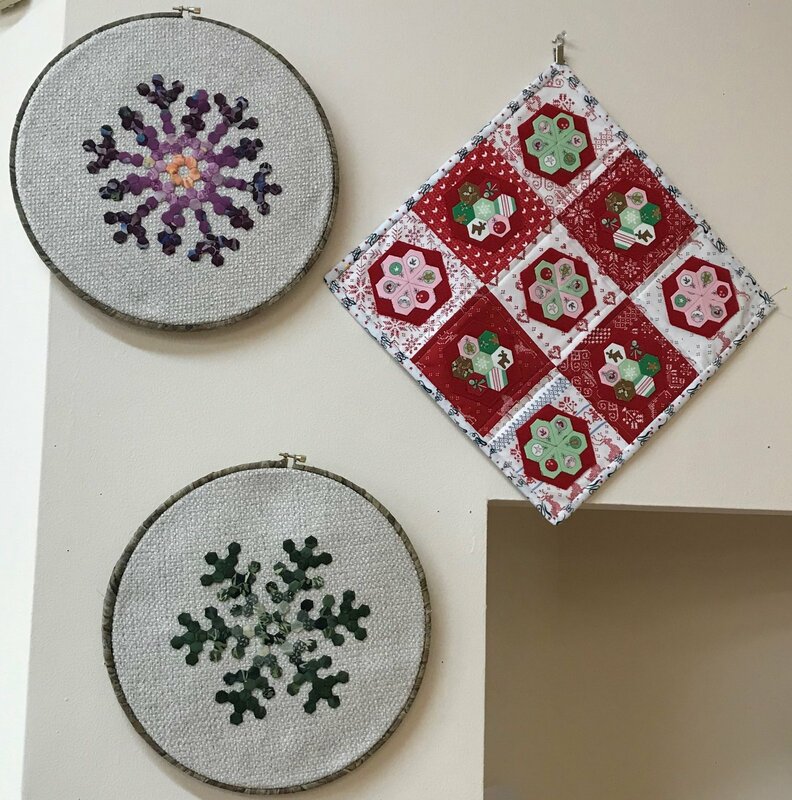 Robyn is working on the Quatro Colour from Sue Daley and most recently the Snowflake Quilt by Edyta Sitar. You can join in with either of these projects or bring your own to work on. Newbies and seasoned EPP'ers are welcome. We will meet once a month to share our progress, learn new/different techniques (including Sue's knickerknot) and wonder in amazement at each others progress. This beautiful quilt would be a great scrap buster! It is also a good carry along project...great for picking up and putting down. You can work on it whenever you have a few minutes or several hours while traveling. Let's get our supplies together and get started! Quatro Colour Kits and supplies for the Snowflake Quilt are available at Cinnamon's!